While it was a perfect opportunity for Hilderinc FC to regain momentum in the ESPZEN Saturday League 18 Division 3, especially after several teams’ irregular commencement of their fixtures and late withdrawal of Vietnam United from the league altogether, an out of character display saw them being held to a 2-2 draw by Dreamteam FC, after giving away a two goal lead for the second league game running. Perhaps the long travel to far-flung Marsiling Secondary School could have been a plausible excuse for the Blacks’ lethargy, but reasons for the clear absence of their normal poise, which was replaced by bitty restlessness, was at best unexplainable. Somewhat affected by the tantrum play by the opponents towards the referee, the Hilderincs looked distracted and at times lost in thought as they spent the opening minutes remedying self induced complaints, though any effort from the opposition was speculative to trouble. Progressively, however, the Blacks found their feet and started to restore order to their intentions with their fluid pass and move football as they worked their way into the Dreamteam final third, and it took a scrappy dealing of the ball by the defender and goalkeeper to deny Erdogan Albay an advantage inside ten minutes. Having gained the initiative, the Blacks were forced into an early change after the in-form Ian Morris was prematurely withdrawn due to a thigh injury, and though Adib Alias was a more than capable replacement, the change rendered the Hilderincs with a thinner than desired bench. However, the change in formation consequential of the substitution worked well for the Blacks and yielded wanted dividends as they scored two goals in quick succession. The first after another impressive work down the left by Hoonki Song, before he laid a weighted ball to Stepan Lobov to control and head past a flapping goalkeeper in the twenty-fifth minute. And the second, three minutes later following dogged persistence by Erdogan Albay to play Xerxes Lee through, and the midfielder’s cutback was stroked into an empty net by the affluent Stepan Lobov for his brace, his tenth goal of the season, five in three league games. The Blacks could have taken a three goal advantage into the break but a good piece of defending denied the hardworking Erdogan Albay a place on the scorers’ charts. While the gain was the Hilderincs’, the restart could have not have been more contrasting as the casual Blacks were countered by a determined Dreamteam who wasted little time in forcing the issue. It took less than five minutes for them to claw back after the Hilderincs were punished for their slackness, and Sunny Tharidu’s rare slippage proved critical. Yet, it was the defender turned goalkeeper who kept the Blacks in the game with his impressive sweeper-keeper display, which he carried out admirably, and not to mention another super save to add to his collection from last week. 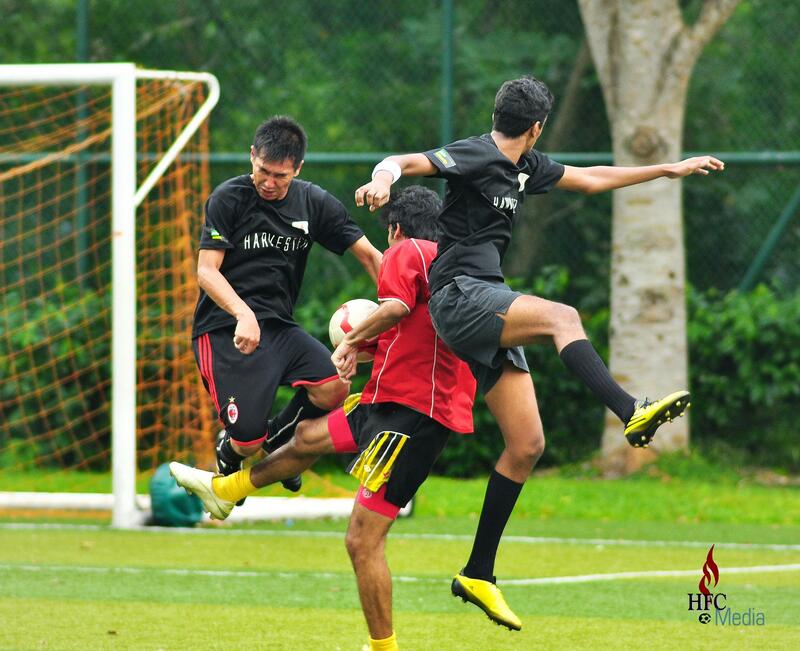 But there was little the Sri Lankan could do for Dreamteam FC’s equaliser midway through the second period. While the Hilderincs’ usually effective frontline looked laboured and lacking in ideas, Mike De Bear and Omar Mahnin could have altered the final result with their attempts, especially the latter’s sweet strike on the volley would have been one to behold. However, to amplify the Blacks’ second half travails, the deadly Stepan Lobov would miss the best chance of a winner when he got his header under the ball when all he needed to do was to nod it into the back of the net with mere minutes remaining on the clock. 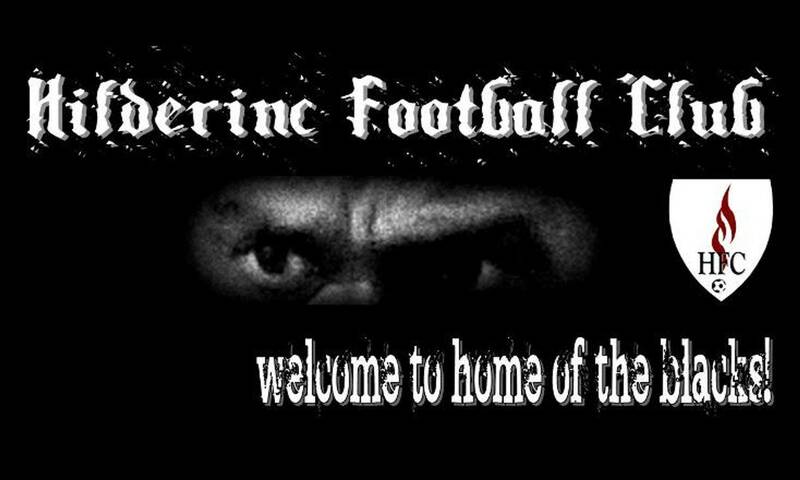 There was no denying that the result was not what the Hilderincs had in mind, but after some impressive displays so far this season, the Blacks can be afforded one below average performance, with limited damage, and this imperfect game have not and will define what they have done so far as the gear up for an immediately response in the coming week.